Spectacular, updated and beautifully designed 1,800 square foot, 1+ bed, 1.5 bath with south facing park and lake views at The Residences on Lake Shore Park.Nestled amongst the trees, this unique and expansive unit has great privacy, abundant natural light, newly refinished hardwood floors, striking open floor plan, great for entertaining. Newly remodeled white kitchen with Calcutta gold countertops and backsplash with top-of-the-line stainless steel appliances, new expanded soapstone island comfortably seats 6 for informal dining. Living/Great room with fireplace flows into formal dining room, doubles as flex space with sliders to covered balcony with gas and electric for year-round enjoyment. Master suite with his and hers closets with large walk-in and marble bath with double sinks, separate shower and whirlpool tub.Added features include: side-by-side washer/dryer, parking, storage unit and wine storage. 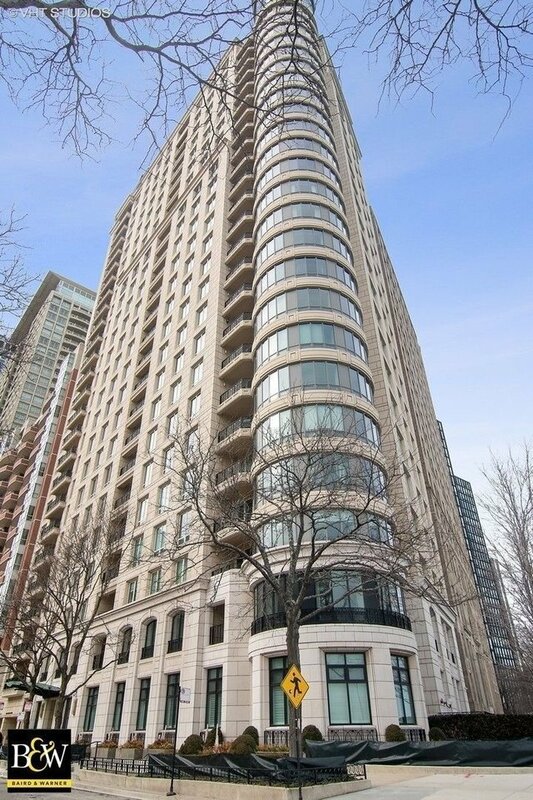 Premier luxury building impeccably maintained with fitness center, 24-hour doorman, on-site manager and multiple pets allowed.LOW TAXES DUE TO 99YR LAND LEASE WITH NORTHWESTERN.